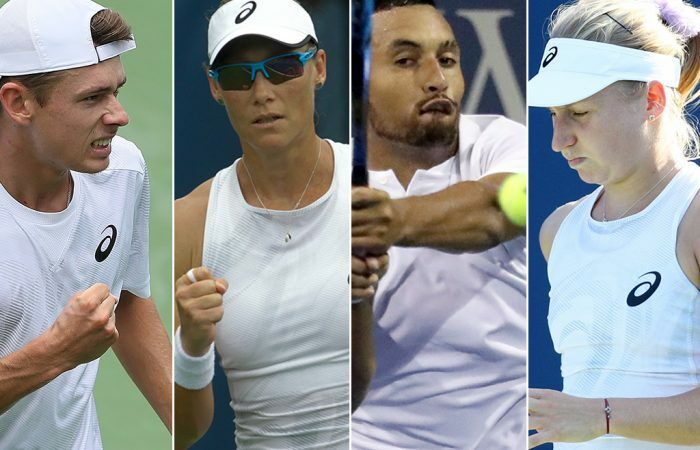 Australia has 12 players lining up in the men's and women's main draws at the US Open, many of whom discussed their chances with the media ahead of their 2018 campaigns. Daria Gavrilova is hoping to improve her US Open record. 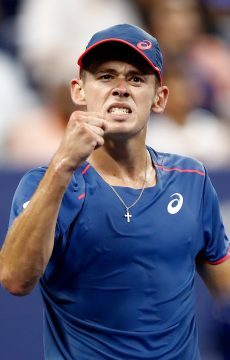 Alex De Minaur is aiming to feed off the New York crowd’s energy. Sam Stosur is ready for the challenge of world No.2 Caroline Wozniacki, while Nick Kyrgios is wary of Roger Federer, who potentially looms in round three. 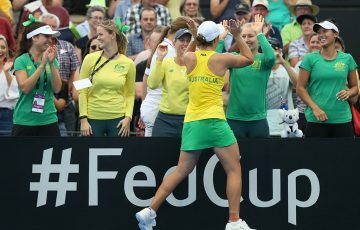 Ajla Tomljanovic – who plays fellow Aussie Lizette Cabrera in round one – is pleased for once to not face a seed in a Grand Slam opener, while James Duckworth believes now is the time to take on an underdone Andy Murray over five sets. Our Aussies discussed these things, and more, ahead of their 2018 US Open campaigns. The 25th seed struggles to put a finger on why she’s been unable to make an impact in the women’s event on her six visits to Flushing Meadows since winning the junior title in 2010. She’s won just one match in the main draw, last year over qualifier Allie Kiick. TV GUIDE: follow all the US Open action! “Every player here is really tough to beat and I don’t have that game where, if I have my A-game, I’ll beat everyone,” she said. “I’m not a ball basher and this is the type of player that can get away with winning easier. I’ve got different weapons. I’ve got my forehand, I’ve got legs, I can run all day. The 23-year-old can’t stop letting his mind wander to a projected Saturday night third-round showstopper with Roger Federer. “As a seed and someone who, realistically, is supposed to move forward in the draw, you kind of look forward. It’s hard not to with social media these days,” said Kyrgios, the No.30 seed in New York. “I get excited to think about it, but just to be able to play another Grand Slam is a blessing in itself. “There was a period in my tennis career where I felt just playing one Grand Slam, my first Aussie Open, was amazing and now I’ve almost hit the 20-mark and just to play another Grand Slam, you can’t take it for granted. Spectators at Flushing Meadows, known as the most boisterous in the world, loved Lleyton Hewitt’s high-octane approach. Now the former world No.1 is encouraging his protege Alex de Minaur to engage the New York crowd in the same way. “Obvioiusly different players feed off different things,” De Minaur said. 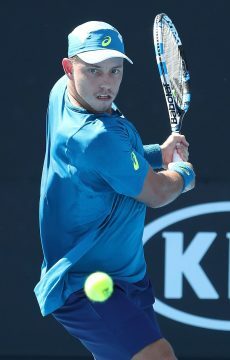 “The main thing Lleyton really told me was just to keep my energy going and that intensity and obviously that will bring crowd into it. And if you get fired up, you get that support from the crowd, which is always good. That would be something really nice to have here in New York. Her injury struggles seemingly behind her, Tomljanovic heads into her all-Australian first-round US Open showdown with ambitious young wildcard Lizette Cabrera on Tuesday at her highest ranking in more than three years. 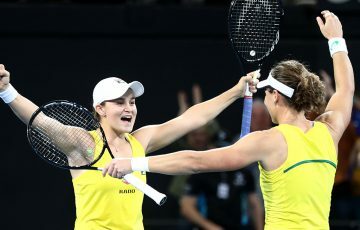 The one-time world No.47 is back on the cusp of the top 50 and eager to capitalise after drawing Grand Slam finalists Lucie Safarova and Madison Keys and the fourth-ranked Elina Svitlona in the opening round at the year’s first three majors. “Defintiely I would like to win a couple of rounds, if possible,” Tomljanovic told AAP in New York. A US Open champion in 2011, Stosur accepts she faces a pretty rough draw when pitted against reigning Australian Open champion Caroline Wozniacki in the marquee first-round match of the US Open. “But I know that she’s not going to want to play me first round either,” she said ahead of their Arthur Ashe Stadium duel on Tuesday. Stosur’s positivity stems from five victories over the world No.2 in a friendly rivalry that stretches over 10 years. 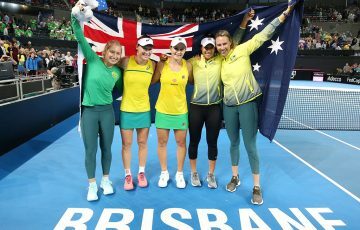 Several of those wins have come on big stages and give Stosur the belief she can cause an early boilover on the very same court on which the Australian underdog brought down Serena Williams in the 2011 final. 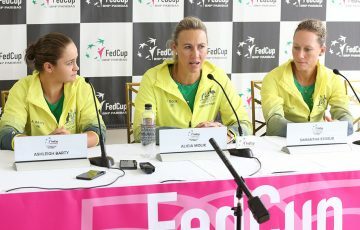 “We’ve played each other 12 times so we know each other’s games well,” Stosur said. “We’ve also practised together a bunch of times so it’s going to be a tough one for both us. We know what we’re going to get. It’s a matter of who’s going to go out and play better on Tuesday afternoon. Using a protected ranking, Duckworth has good reason to fancy his chances of stopping underdone former world No.1 Andy Murray in what would be a US Open first-round boilover at Flushing Meadows. Even Murray has modest hopes for his first Grand Slam appearance since Wimbledon 2017 following almost a year out of the game to recover from hip surgery. “Look, if I was ever going to play Murray, this is probably the best time play him,” Duckworth told AAP. “He hasn’t played a best-of-five-set match for over a year so I give myself a chance. I’m obviously going to have to play well, but I’m definitely a chance.